The business manager of Marvel icon Stan Lee, Keya Morgan has been arrested after suspicion of filing a false police report. The news first confirmed by The Hollywood Reporter with the Los Angeles Police Department, reports that Morgan who is one of Lee’s closest confidants was arrested at around 1 p.m. According to THR, he is due back in court by July 2nd, and $20,000 bail was set for him. Likewise, the LAPD’s Hollywood Division has not revealed any other information regarding the case, but it is suspected that he was arrested because of the report he made this month. In early May, two gunmen allegedly confronted Lee at his home and demanded money from him. 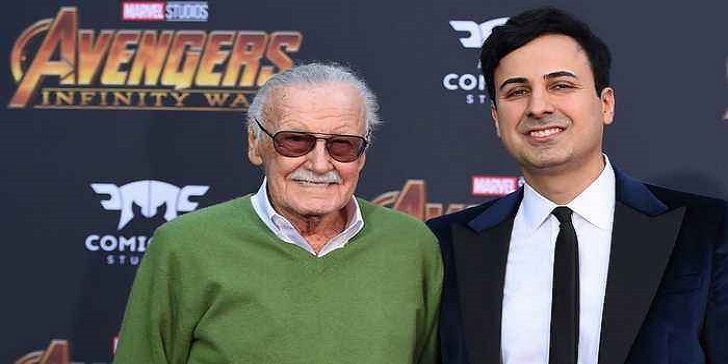 Moving along, the 95-year-old Marvel icon’s mental and physical health has become a concern for many as his health has declined drastically in a few months and his memory also has a poor shape. Numerous problems are surrounding him at the moment like one of his private nursing staff accused him of sexual harassment, a lawsuit against his former company POW Entertainment and legal battle with former business manager Jerry Olivarez. Lee has also used social media to respect people’s concern towards his health but at the same time neglecting the fact and claiming that the news is fake. He even said that he would sue news outlets and individuals who claim that he is elder abuse’s victim, which also involves his manager, Morgan. However, Lee has been defending his manager a lot and even sharing in a video that he has only one partner who represents him and others are making the story up.